Should Electric Car Companies Set up their Own Dealership Networks? The Texan authorities are currently considering a request by Tesla Motors to allow the company to sell directly to the general public. This is something which has attracted great interest from the motoring public, car dealership companies, and indeed other electric car companies who are in the same situation as Tesla Motors. So should electric car companies set up their own dealership networks? Why do we have car dealership networks? There are a number of reasons why there is currently an array of car dealership networks around the world. They offer the option to consider different motor vehicles, offer support and advice when required, and also in many cases a backup service. So why should the situation be any different for electric car companies? A number of electric vehicle enthusiasts have pointed out that electric vehicles can only be serviced and maintained by qualified electricians. This means that the traditional car maintenance and car servicing network is in some ways redundant with regards to the new industry (at the moment anyway). Therefore, why would we still require car dealership networks to sell electric cars to the general public? If you buy, for example, a vehicle from Tesla Motors and you live in a different state to the electric car manufacturer, then where do you go if you require immediate assistance? Unless Tesla Motors, and other car manufacturers, are able to set up some kind of electric car network franchise, then how would you be able to get the help you required when required? Quote from ElectricForum.com: "The ongoing battle between Tesla Motors and the Texan lawmakers regarding the direct selling of Tesla cars to the general public has certainly opened up a can of worms. 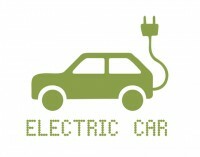 Should electric car companies consider setting up their own dealership network?" This is not necessarily an insurmountable problem but it is an issue which many drivers will have as they look to acquire this relatively new transport technology. The truth is that many drivers are sceptical of electric vehicles, they are sceptical of their journey capacity and they are sceptical of the recharging network, therefore if there was no immediate point of call for any problems this may well do the industry more damage than help in the short to medium term. We all know that if we see a car which we like, or some other kind of vehicle, the likelihood is that our local dealer will be able to arrange some kind of test drive. If you are buying a vehicle from an electric car company in a different state, how would you be able to arrange a test drive at short notice? Again, as with the situation above, this is not an insurmountable problem but until the electric car industry has some form of infrastructure available it could turn some people away. It would not necessarily be difficult for electric car manufacturers to put together some kind of industry wide network, it would give potential electric car motorists more confidence and could be the kickstart which industry requires to move into the mass market. Tesla Motors request for the Texan authorities to consider whether the company can sell direct to customers has certainly opened up a can of worms for the industry and for the lawmakers. Issues which are directly associated with the traditional car market are not necessary the same for the electric car market although there are some elements such as backup, support and immediate assistance which still pray heavily on the minds of many motorists. This will be an issue that goes on and on.